Great story but these four books should be one. I loved the first two books in this series but really $10 for a hundred pages and that you can blow through in a couple of hours is overpriced. These four books should be together for the price or one then it would be a fantastic find. I find my desire to read the last two books is outweighed by my sense of being ripped off, one small story at a time. Exorbitantly priced for the size, I enjoyed the first one but won't be purchasing this until it's more reasonable, novellas should be priced as such, this is gouging. As good as the first, giving us more answers, even more questions, and most importantly Murderbot being incredibly socially awkward but dealing with things anyway. I found the first one to be innovative and delightful. 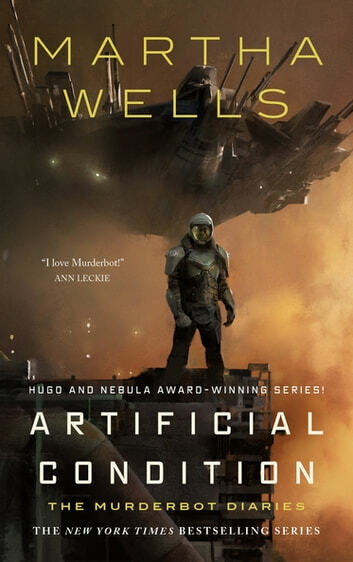 It was a strange, unlooked-for kind of escapism to find myself identifying with a murderbot who hates his job and would rather just sit and consume media all day. In the 2nd and 3rd books the references to shows he is watching feel more and more like throwbacks made just for the sake of it. As opposed to something integral to the plot or developing the character. "Hey, gotta give the masses what they want, right?". And I shouldn't really be calling these books to begin with, they are way too short for a ~10 euro price tag. What you're really buying here is just another 1 hour episode in a Netflix series that used to be good for the first season. As amazing as the first one!